Council Of Better Business Bureaus, Inc is a highly reputed hub for various Business Bureaus across Canada and the US. They are directed to foster responsive and honest relationship between consumers and business enterprises. They even initiate the process to instill confidence of consumers and even contribute to an overall trustworthy marketplace. The council is a reputed and recognized leader of the nation that deals in administering and developing self-regulatory programs for business communities, keeping close cohesion with the industry of advertising. The organization also has mutually supportive relation with various national partners who are committed to share ideals and corporate responsibility of Better Business Bureaus. 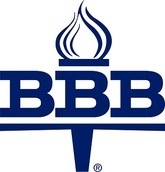 There are currently 0 consumer reviews about Council Of Better Business Bureaus, Inc available. Share your review. Please take a note that you are about to post a public review about Council Of Better Business Bureaus, Inc corporate office on CorporateOffice.com. This review will be public, so please do not post any of your personal information on this website. If you would like to contact the corporate offices of Council Of Better Business Bureaus, Inc, please use their contact information such as their phone number, website, and address listed above to contact them. However, sometimes staff from Council Of Better Business Bureaus, Inc headquarters do read the reviews on this website.